A new book, edited by Illinois State University’s Professor Ellis Hurd, brings to light stories of scholars and authors who navigate the worlds of teaching, research, and family through a lens of mixed identity. 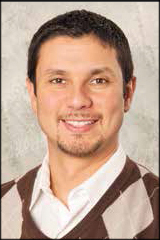 “The book is a small, but important step toward closing the significant gap that exists within research and literature concerning those who are of mixed racial, socio-economic, linguistic, and ethno-cultural backgrounds,” said Hurd, who teaches courses on equity, cultural responsiveness, and bilingual and middle-level education in the School of Teaching and Learning. 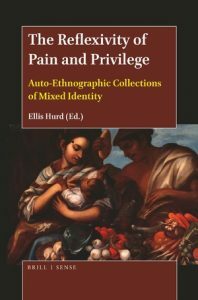 The Reflexivity of Pain and Privilege: Auto-Ethnographic Collections of Mixed Identity shares the experiences of authors who have worked and studied across the globe. The goal of the book is to offer insights to those who teach middle-level education and young diverse learners. “These are powerful stories that could be used by anyone looking to learn more about those who view the world through the trials and triumphs of mixed identity,” said Hurd. Chapters explore the experiences of “third culture kids,” or young people weaving together cultures of home and society. Hwa Pyung Yoo delves into his middle-school memories trying to manage the combination of his Korean and American identities. Raymond Adams asks simply “Will I Ever Be Enough?” when exploring his Louisiana Creole upbringing. Other authors offer tools to educators, such as Hannah Stohry, who provides a list of “consciousness raising questions” for teachers; and scholar C. Santamaría Graff, sharing her 20-year journey to navigate academia as a biracial Mexicana educator. Hurd’s own story includes facing an uphill battle for his education, and being told multiple times that college was not in his future. “I am living proof that even with people who struggle, a path can be made,” said Hurd, who thought about becoming a pastor before earning bachelor’s and master’s degrees and teaching English. Intrigued by the idea of a doctorate, Hurd started to look for research on teaching children with mixed identities, and found very little. “Knowing that I was one of mixed identity, and that there was hardly anything out there in the research about it, I became fascinated with the idea,” he said, which kicked off his own auto-ethnographic research.